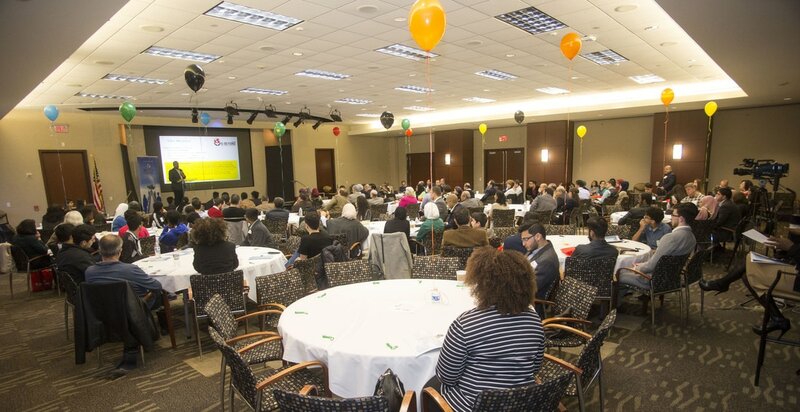 ​On Saturday, January 28, 2017, U-Beyond Mentorship held its 5th Annual Conference, where more than 160 attendees were inspired by talks from the inventor of fiber optics, Dr. Thomas Mensah, serial entrepreneur, Brooke Beach, and workshop presenters Dr. Khaled El-Maleh (Qualcomm) and Slma Shelbayah (CNN). Attendee Bosco Kofi commented on the program, noting the quality of the presenters and their talks were "Very highly rated because they have showed me how to reach success." Other attendees commented that the program was "Excellent!" "Perfect!" That it had "Great atmosphere." Attendees most enjoyed "Meeting new people," and "The inspiration." During the conference, U-Beyond opened doors for students and young professionals who were seeking mentorship and networking opportunities. Mentors present during the event included an elite group of executives, physicians, scientists, journalists, and entrepreneurs who have accomplished phenomenal career and personal successes, and who were able to share candid stories of mistakes, misfortune, and how to strive for your dreams. 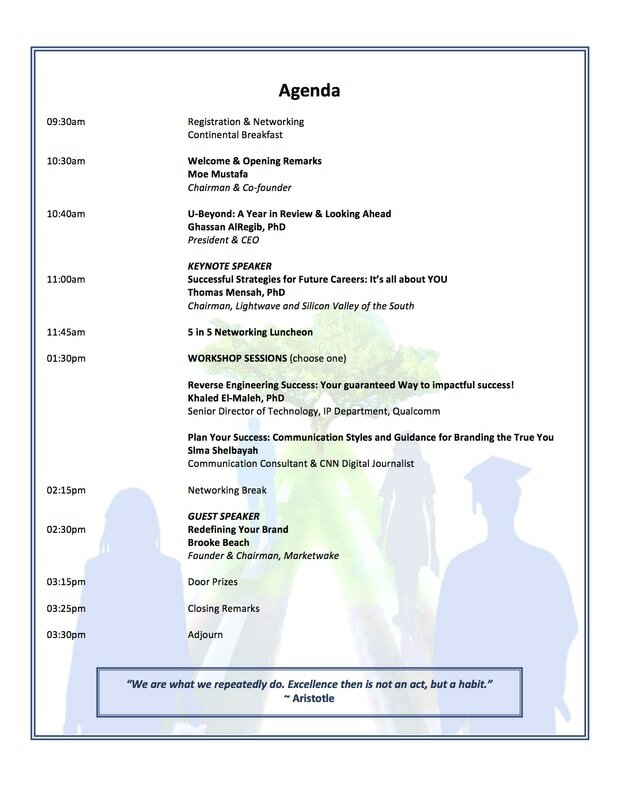 Once again, our Annual Conference had the perfect balance of learning and networking, speakers and mentors, all in an environment created to encourage young people to meet successful professionals in fields and careers where they see themselves working one day. We look forward to seeing all of our conference attendees throughout the year, at one of our workshops, in mentoring relationships, and at our fundraising Gala. If you couldn't be with us last Saturday, we hope you will check our 2017 Calendar of Events and attend other programs that you believe would be beneficial to your future successes! Be Bright. Be Bold. Be Beyond.